Located in the Coast Mountain Range of British Columbia, Canada, Whistler Blackcomb consistently offers the most reliable snow conditions, receiving an average annual snowfall of 11.7 metres / 461 inches / 38.4 ft per year. 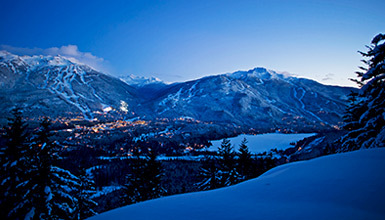 Due to Whistler’s coastal proximity, temperatures are moderate through the winter season, rarely dipping below -10°C (12°F) in the valley and -15°C (5°F) in the alpine during the coldest part of the year. Expect -5°C (22°F) average daily alpine temperatures during most of the winter months. Temperatures are approximately 7 to 10°C cooler on top of the mountain than in the Valley. 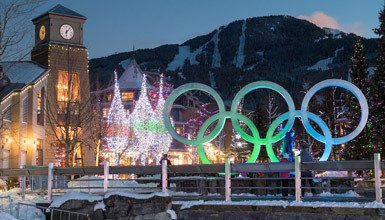 Due to Whistler’s coastal proximity, temperatures are moderate through the winter season, rarely dipping below -10°C (12°F) in the Village and -15°C (5°F) in the alpine during the coldest part of the year. Expect -5°C (22°F) average daily alpine temperatures during most of the winter months. What clothing should I pack? Whistler is quite a laid back, casual ski town. Even for fine dining, smart-casual attire is appropriate. As far as what to wear for the great outdoors, remember that you are in the Coast Mountain range of British Columbia and the weather can change dramatically throughout the day, no matter what the season. T-shirts and shorts are appropriate during the summer months as temperatures rise, however, if you are hiking, make sure you are prepared for sudden changes in weather. If you forget something at home, don't worry. Whistler has plenty of shops and clothing stores where you can find everything you might need. Help us gather invaluable feedback by signing up for the survey panel, with a chance to win prizes after each completed survey. Wild peaks, ancient forests, a vibrant village with unique mountain culture – this is our true nature. 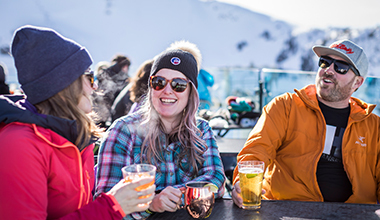 Stay 2+ nights in March or April and receive a free $20 Après Voucher.